Be safe. Stay safe. It’s time to prepare for the changes to your driving that you’ll need to make in response to winter weather and adverse conditions. Plan: Prepare for your trip. Check the weather forecast for your route, identify rest stops, meal and fuel stop locations, and allow extra time for traffic delays. Expect the unexpected: Speed limits may be reduced, traffic lanes may be changed, and people may be working on or near the road. Slow down: Speeding is one of the major causes of work zone crashes. Don’t tailgate: Keep a safe following distance between you and the car ahead. Keep a safe distance from construction workers and equipment. Pay attention to posted signs: Warning signs are there to help guide you, use them. Four-wheelers often will use your vehicle as a wedge to race to the front of the queue and wedge-in right in front of you. Be more aware of your blind spots: Not all motorists are aware of your blind spots in front, back and either side. Pre-trip: Do an inspection and check tires, wipers and fluid and lights. 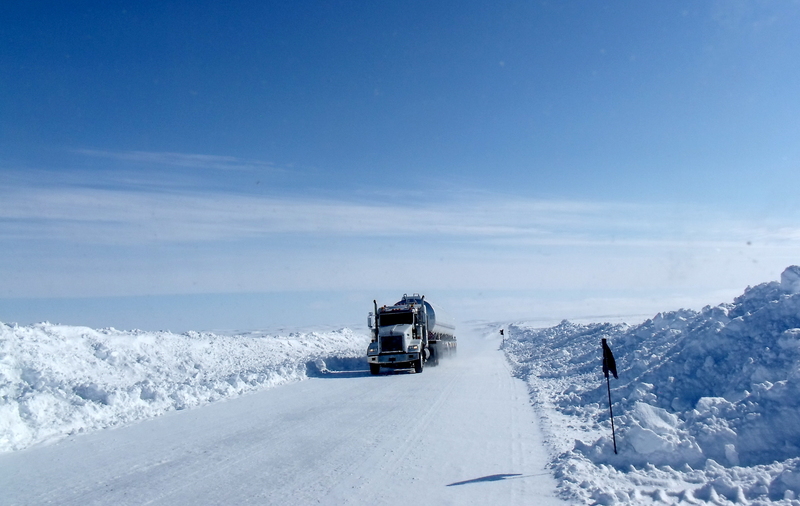 Check your truck frequently during winter conditions. For example, check that your taillights and mirrors and reflectors are clear and remove all ice and snow from hand holds and steps . Check coolant system, cab heating systems, air systems, batteries and electrical system and starting aids before the snow falls, too. 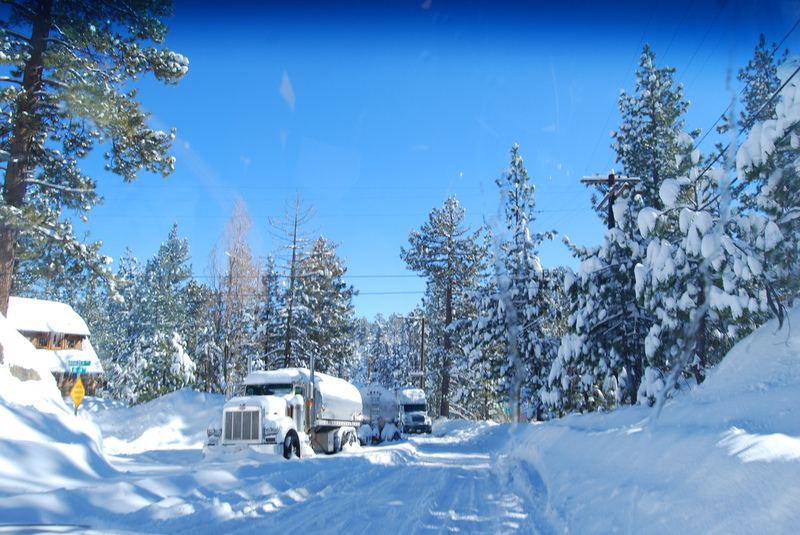 Truckers apps: Smartphone apps can be very helpful while on the road especially during winter. There are many apps available to help identify traffic delays, find places to stop for food, or find the best diesel prices. The following are five smartphone apps, you might find useful. If you have an app that you like to use, please share it with us. But of course, keep hands on the wheel. Hold the wheel firmly to be able to handle winds or road imperfections. Sudden, sharp moves or being distracted can cause you to lose control. Extra space: Slow down and don’t drive faster than conditions allow. Double your following distance. Aim for at least a ten second following distance when driving on snowy and icy roads. Smith System® safety education program shares the “Five Keys to Space-Cushion Driving.” Many carriers make this a required training for their drivers. Leave Yourself an Out: Always has an escape plan for you and your vehicle. Black ice: Black ice is likely to form under bridges and overpasses, in shady spots and at intersections first, so be careful in these areas. The prime times for the development of black ice are around dawn and in the late evening, when temperatures are typically the lowest. Never assume because it’s sunny that the road is just wet. Obey road signs: Warning information and speed limits are posted for a reason. Signs are placed after authorities have concluded what is considered to be safe and what drivers need to be made aware of. Exit ramps: Decrease your exit ramp speed. Exit ramps might not be traveled frequently and can freeze over rapidly. Braking and accelerating: If the brakes happen to lock, release them to avoid sliding. This will help to regain steering. Brake and accelerate lightly to avoid skidding. Pull over: Use your best judgment. Listen to weather reports, warnings and advisories. Don’t continue to drive in unsafe or fatigued condition. Make sure to clear off windows, mirrors, and lights often, too. 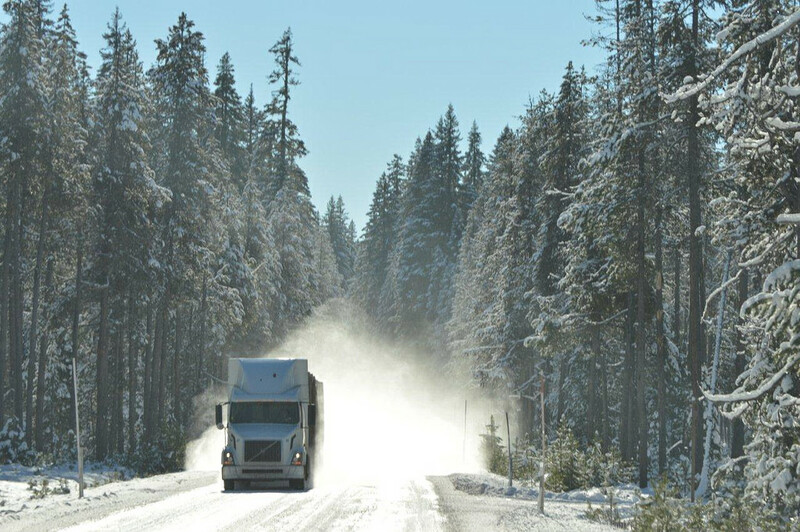 How do you prepare for winter truck driving? Share any tips you have learned through the years. For example, what do you pack to be prepared for the change in weather? Share any bad winter driving stories (skidding, dumb passenger car drivers, bad driving habits you’ve seen, preventative maintenance, dash cam videos, etc) and what could have been done differently to increase the safety of all drivers. e-mail me at snoel@highwayandheavyparts.com or leave a comment in the comments section.